Residents from west Cheshire with real experience of what it’s like to live in poverty will share their stories with MPs in the House of Commons next week (Tuesday, 30 January). Members of the West Cheshire Poverty Truth Commission (WCPTC) have been invited down to London to share their experiences with MPs, with the ultimate aim of helping to shape national policy. Focussing on key Welfare Reform areas like benefit sanctions, Universal Credit and PIP assessments, the Commission’s members, called Community Inspirers, will highlight barriers they have faced and put forward possible solutions to improve current systems and processes. Barbara from Northwich is one of the Community Inspirers travelling to London and will share her experiences of the welfare system and the barriers she feels she faced. 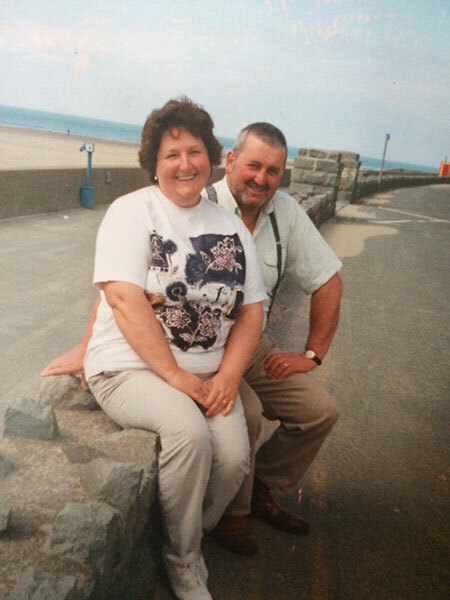 Barbara and her husband Bill were both self-employed, running a successful taxi and minibus service company up until 1997. After a busy Christmas period for the company, Bill suffered a major heart attack at the age of 47, which left him deemed unfit to work by doctors. Their lives changed overnight. Bill lost his professional bus and taxi licences and applied for sickness benefit through what was then called the Department for Social Security (DSS), now the Department for Work and Pensions (DWP). After being assessed by a panel, Bill was refused sickness benefit as he was seen as fit to work – a decision that went against medical recommendations. They appealed without success and the couple were forced to sell their business and their home. Barbara received a letter from the DSS on the day of Bill’s funeral advising that he had now been accepted for sickness benefit. Barbara added: “After many years of fighting the system, I want to share our story in the hope that it will make a difference and help to support change. “The barriers that my husband and I faced twenty years ago are still issues that many people experience today. There are genuine people struggling across the country, who have worked all their lives that are refused benefits that they are entitled to. “The stress can be so mentally draining. WCPTC has given me the opportunity to meet other people who have faced the same difficulties and given us all the confidence to share our stories. The Work and Pensions Select Committee has confirmed that it would welcome written evidence from WCPTC on experiences of PIP and ESA assessments, as well as Universal Credit. This written evidence, once submitted, will be discussed at the Work and Pensions Committee in the House of Commons. Councillor Nicole Meardon, Cabinet Member for Children and Families at Cheshire West and Chester Council which created and runs the Commission, said: “Sadly, stories like Barbara's are too familiar, so I am delighted that our Inspirers’ stories are being listened to at the highest level. The visit to the House of Commons will provide a platform for us to be heard and really help shape the policy directing Welfare Reform services. “The impact the Commission has had on our Inspirers, all local residents, has been transformational, building their confidence and opening up new opportunities for them. Image of Barbara and Bill. Barbara is now a Community Inspirer for the West Cheshire Poverty Truth Commission.